Rehabilitation workers are being urged to share good practice in an exciting project that also aims to enhance their professional development. Simmone Miller explains. Last year RNIB secured funding from the Department of Health for a project that aims to benefit both rehab workers and blind and partially sighted people. The early intervention and rehabilitation project will promote professional development and ensure that the needs of blind and partially sighted people are met when they need vision rehab services. This project was created in partnership with the Rehabilitation Workers Professional Network (RWPN). The project board is made up of specialists from across the sight loss sector and works closely with the Vision 2020 UK Rehabilitation group. Why this project will benefit rehab workers and people with sight loss? The three year project aims to define what blind and partially sighted people should receive when accessing vision rehabilitation services. We want to explore different models of provision and gather some real life experiences of how vision rehabilitation has transformed people’s lives as well as hear from those who have not received rehabilitation services. We’re also eager to promote and share examples of good practice and to measure the cost effectiveness of vision rehabilitation. By working with the RWPN we’ll also support the raising of standards across the rehabilitation profession within health, social care and voluntary agencies. This project is useful for all rehab workers. As the pressures on health and social care budgets continue to threaten the quality and availability of vision rehabilitation services, the rehabilitation worker role needs to be better understood by commissioners and other professionals. Effective and timely vision rehabilitation services can enable blind and partially sighted people to adapt to living with sight loss and to remain independent and participate in society. What have we done in the first year? 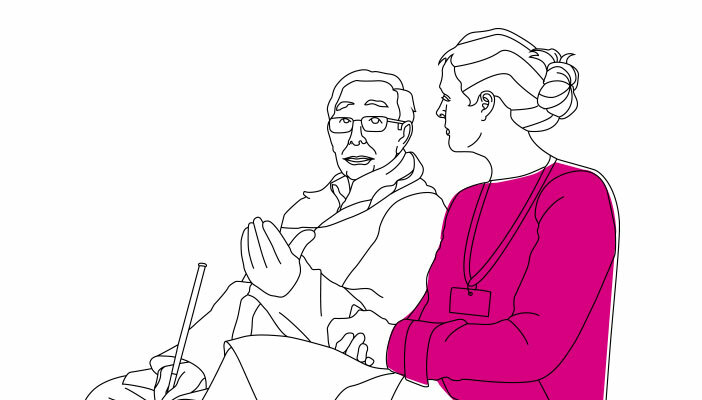 So far we’ve consulted with blind and partially sighted people and practitioners from across the sight loss sector on what good practice in vision rehabilitation looks like. We are developing a library of good practice and we are designing a continuing professional development programme for those engaged in delivering vision rehabilitation. Simmone Miller is an Early Intervention Manager at RNIB and former rehab worker and manager of sensory services. We are inviting people to share good practice examples of delivering good rehabilitation services. If you would like to learn more or can provide RNIB with an example of good practice email: [email protected] or call him 0121 665 4204 or email: [email protected] or call her on 020 8391 2192.